Find the Perfect Floor plan! Welcome to The Lockwood! Our Silver Spring, MD, apartments embody the comfortable lifestyle you desire. We have the best choice of apartments for any lifestyle. Choose from our wide selection of pet-friendly studio, one-, and two-bedroom apartments, guaranteeing you find the right amount of space suited to your needs. Each home is optimized for maximum living and storage space, and you’ll find our homes make the perfect foundation for you to build your life the way you want. Our location just outside DC is one of our best amenities. The Lockwood is in the White Oak neighborhood, near all the necessary Metro lines and the Capital Beltway, meaning you will always enjoy an easy commute in and out of DC. Public transportation also is readily available, with the bus station servicing our community directly. There are many top employers nearby—the FDA HQ building is one of many that neighbor The Lockwood—and great schools. The Lockwood is in the Montgomery County School District which is one of the best in the DC area.  You’ll love your time at The Lockwood. We’ve honed our amenities to offer both fun and function. Your home will be equipped with all the necessary appliances, and we have an onsite laundry facility that lets you ditch those pesky late-night and weekend laundromat runs. We also have great community amenities, including our landscaped grounds and sparkling pool. You can take a picnic in some shade or relax poolside and soak up some sun. There are so many benefits to living at the Lockwood. Schedule a tour to see them in person!